Teresa Biggerstaff has been the owner and doctor of Advanced Oral & Facial Surgery for years and has been offering facial cosmetic surgery services through the practice. 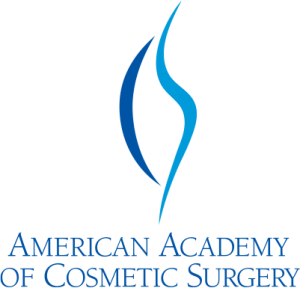 She completed a fellowship in facial cosmetic surgery following her residency training. Cosmetic surgery has always been a passion, so she decided to add a more luxurious environment in which to offer these services. In addition, she brought on an aesthetician and massage therapist to create a true medical spa. The spa provides a wide variety of services, but our most popular services are Botox and facial fillers, laser therapies, massage and non-invasive body contouring. Dr. Biggerstaff has lived in Kernersville since the completion of her residency. She relocated to the area after Hurricane Katrina which displaced her to North Carolina during her residency training in New Orleans. She completed a facial cosmetic surgery fellowship in Greensboro prior to joining a private practice in Winston-Salem. After several years in Winston-Salem she decided to open a practice in Kernersville. Dr. Biggerstaff is married and enjoys cooking, photography and spending time with her husband and 2 daughters. Anna Smith has been in Massage Therapy for nearly 8 years. She received her associates degree in Science/Therapeutic Massage from Forsyth Technical Community College in 2010. She specializes in modalities such as deep tissue, pre-natal, sports, relaxation, trigger point therapy, sinus and TMJ disorders. Over the past few years, she has trained in lymph detox and interrogative cancer massage. In 2013, Anna was nominated as Massage Therapist of the year for North Carolina. She plans to add more modalities in the coming years to further help the well-being of others. Anna is married with 2 sons and lives in Davie County. Lauren Sandifer brings over 15 years of aesthetic experience to Ageless in the Triad. After receiving her aesthetics license in 2000, she furthered her education at The International Dermal Institute and also received an impressive range of certifications in advanced aesthetics and laser treatments. Prior to joining Ageless in the Triad, Lauren has worked in medical settings where she performed an array of treatments that includes chemical peels, dermaplaning, laser hair removal, laser skin rejuvenation, microdermabrasion, and micro-needling. Lisa Rose has been making people feel beautiful for over 20 years. She first started her career as a nail technician then furthered her training into aesthetics. She brings many talents including a passion for waxing and makeup. Outside of work, Lisa enjoys spending time with her 2 daughters and amazing grand-daughter. Ashley knew she wanted to help others, so picking the field of massage therapy was easy. Her excitement and cheery attitude is such a great presence here at Ageless in the Triad. We believe that’s one of the reasons Ashley’s clients gravitate toward her. She is knowledgeable and skilled and gives a wonderful massage session. In 2012, Ashley graduated the Therapeutic Massage Program at DCCC, and then continued on to earn her degree in the field that following year. Her modalities include Swedish, Deep Tissue, Trigger Point and Hot Stone. She enjoys working with any client that comes through the door, but especially likes to work on those stubborn headaches, neck & shoulder issues, and back discomfort. When Ashley is not at work, her black uniform is put aside and out comes the camouflage! She is busy spending time with her family and fiancé going bowling, hunting, and fishing. Ashley is very involved with her church, participating in events and helping out her community and she’s often meeting a friend for conversation and laughter over coffee. Keturah has been a massage therapist since she graduated in 2017 from Living Arts Institute. She specializes in deep tissue, pre-natal and relaxation massages. In her free time, Keturah loves going to poetry jams and watching makeup tutorials on YouTube. Microblading vs. Permanent Makeup: Which One Is Right for You?